Sam’s practice focuses on complex intellectual property litigation, monetization and counseling. Sam’s litigation experience includes handling over 40 patent cases involving a range of technologies from life sciences to computer software. A number of Sam’s cases have been lawsuits filed under the Hatch-Waxman Act, where he has led trial teams seeking to invalidate or obtain non-infringement judgments on patents covering small molecules, polymorphs, drug formulation, topical treatments, intravenous drugs, and methods of treatment. Outside of patent litigation, Sam has first-chaired litigations involving trade secrets, unfair competition and trademarks. His experience also includes contested administrative proceedings, including inter partes reviews (IPRs) before the Patent Trial and Appeal Board (PTAB) and trademark disputes before the Trademark Trial and Appeal Board (TTAB). 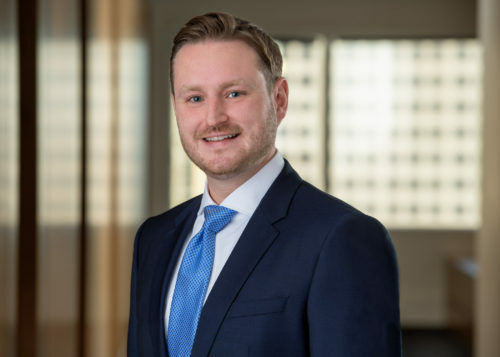 Sam counsels clients on monetizing intellectual property outside of litigation too, including via business collaborations, licensing opportunities, portfolio development, and trade secret acquisition and maintenance. For example, Sam led negotiations on behalf of a Fortune 500 company on a cross-license deal involving intellectual property rights to CRISPR technology. In another matter, Sam led an initiative to create an out-licensing program for technology in the bioagricultural field with an estimated value of several million dollars. Sam routinely counsels clients on other technology-focused agreements, including research collaborations, joint ventures, intellectual property licenses, non-disclosure agreements, and material transfer agreements. Sam is active in the legal community and involved with various industry-related groups. He is part of the Midwest Intellectual Property planning committee and a board member of The Fund for Legal Aid. He also performs pro bono work, including through the Minnesota Innocence Project and the Children’s Law Center. Sam has been consistently named a “Rising Star” by Minnesota Super Lawyers from 2008 to the present.